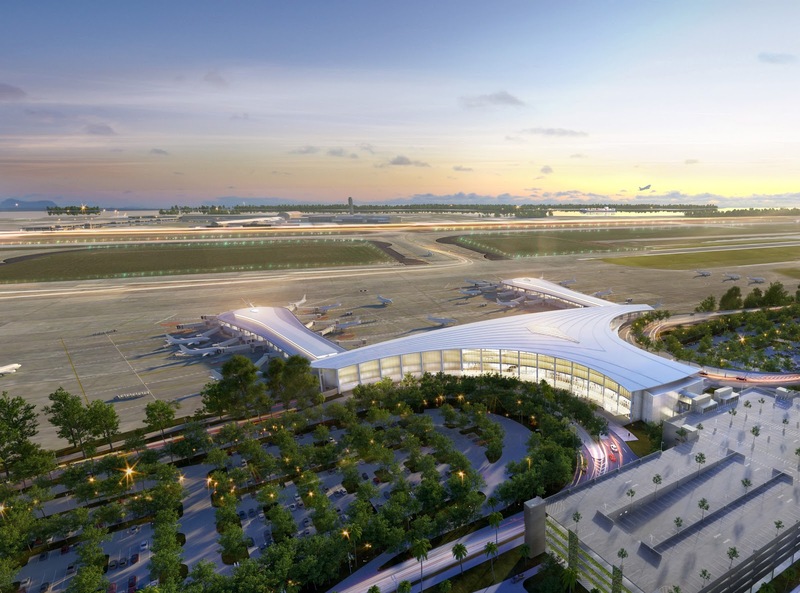 The new terminal slated for the Louis Armstrong International Airport was finally approved on April 17, 2013 when the airport announced its decision to go forward with the construction. For several years there has been an increasing need for a new terminal and additional improvements. The new terminal will be located on the northeast side of the airport and will not require purchasing any additional property. The new terminal will have 2 connected concourses with 30 airline gates. Passenger experience will be greatly improved and efficient by creating an in-line baggage system allowing passengers to drop off their luggage at the ticket counter. In addition, a 2,000 space parking garage will be added. The North Terminal was designed by architect Cesar Pelli along with the Crescent City Aviation Team. There was a ground breaking ceremony to commemorate the beginning of construction for the North Terminal. The new terminal is expected to cost $826 million and is scheduled to be ready to open by October 1, 2018. For additional details on the North Terminal, please see: http://www.flymsy.com/capitalimprovements/Projects-in-Construction/North-Terminal-Project-1. For history and background information on the North Terminal, see: http://www.flymsy.com/PageDisplay.asp?p1=18586.